Ben Leroux, it is whispered in reverent tones, may well succeed to the mantle of Henri Jayer as Burgundy’s emblematic winemaker. Still only 35, Ben is, in the words of Allen Meadows, “extremely thoughtful . . . positively brilliant . . . one of, if not the, most gifted young winemaker in all of Burgundy.” While continuing as the régisseur at Domaine des Epeneaux (Comte Armand), Ben Leroux now also operates a boutique négociant operation in Beaune near Maison Bichot, just off the périphérique, in a rented facility that he shares with Dominique Lafon. Much as Louis-Michel Liger-Belair, Leroux determined to become a vigneron at any early age, and despite not coming from a winemaking family, enrolled in Beaune’s Lycée Viticole when he was 13. Upon graduation, he took a Diploma in Oenology at Dijon University, and in 1990-1992 apprenticed to the brilliant and charismatic Pascal Marchand, who was at that time a 29 year-old wunderkind at the Domaine des Epeneaux (Comte Armand). Leroux rounded out his practical training in Bordeaux at Cos d’Estournel, subsequently with universally-respected Jacques Lardière at Maison Louis Jadot, and, finally, with Marcel Geisen in New Zealand. In 1999, when Pascal Marchand accepted new challenges at Domaine de la Vougeraie, Pascal selected Ben as his successor at Domaine des Epeneaux. Ben intends to keep Maison Benjamin Leroux as a small, niche operation, producing fine wines from interesting or under-appreciated terroirs, working only with grapes (not must or young wine) that he carefully selects for quality. He has invested in top-of-the-line equipment and exerts maximum control over his growers, converting them as possible to organic and biodynamic practices. Focusing currently on around a dozen wines, reds and whites. Ben is already producing Burgundy of enormous character and remarkable quality. Ben reviews technical notes with MW candidate Amy Christine of Veritas. (La Macabrée, Les Hautés, and Les Boutonniers) situated in the Mont Melian section of Auxey, near the border with Meursault. The sourced parcels aggregate 2 hectares, and face east/southeast from an altitude of about 350meters. About half the vines are 25 years old; the other half 35 years old. The stony soil is white marl and limestone (22%) over a limestone base. These parcels have heretofore been exploited by Comte Armand and transformed by Ben Leroux into reference-standard Auxey-Duresses blanc. Comte Armand has, however, generously given over the rights to these parcels to aison Leroux. The wine is a lean and racy analogue to Meursault, aromas of lime-blossom and hazelnut , and a fruit-forward and round mid-palate framed by crisp acidity. Another of Maison Leroux’s noteworthy white wines is the village-level Puligny-Montrachet, which bears the unmistakable breeding of more exalted vineyards in Puligny. One more fine wine from Maison Leroux is the Nuits-St-Georges, Aux Allots. Coming as it does from the section of Nuits closest to Vosne-Romanée, Leroux’s Aux Allots exhibits a measure of exotic spiciness together with elegant black and red fruit on the palate. Leroux also produces a spectacular Premier Cru Volnay from the tiny .64-hecatre monopole Clos-de-la-Cave-des-Ducs. 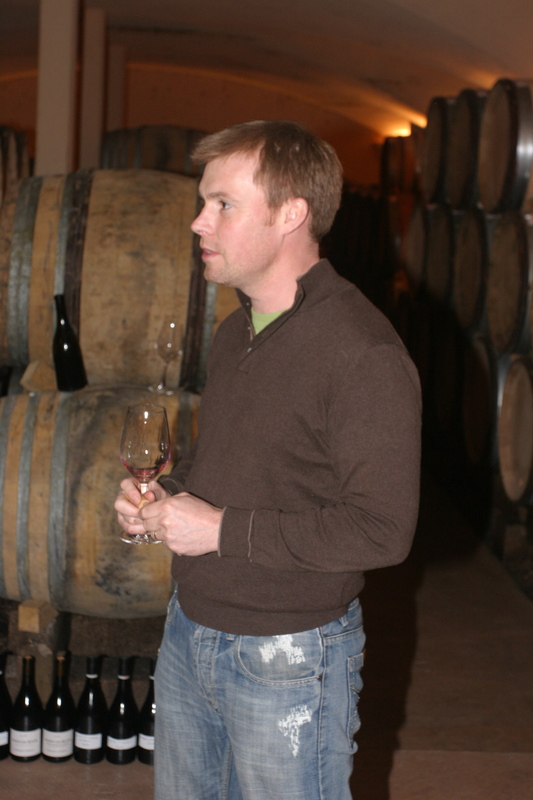 Although Ben Leroux is acknowledged as a technical master of scientific winemaking, he actually follows a very intuitive approach, which flows directly from his perception of biodynamics. “For me,” Ben observes, “biodynamie is not a technique but a philosophy.” In Ben’s weltanschauung, man has become disconnected more and more from nature of which he forms an integral part. Rather than trying to impose our own rhythms on the outside physical world, Ben contends that it is just “common sense” to work harmoniously with the forces of nature, to attune ourselves with gravity, with the sun, with the cycles of the moon. Nevertheless, because biodynamie is a philosophy and not a religion, Ben retains an open mind toward biodynamic techniques, and will, for example, abstain from “biodynamic treatments”, such as copper sulfate, that he feels disrupt natural rhythms. 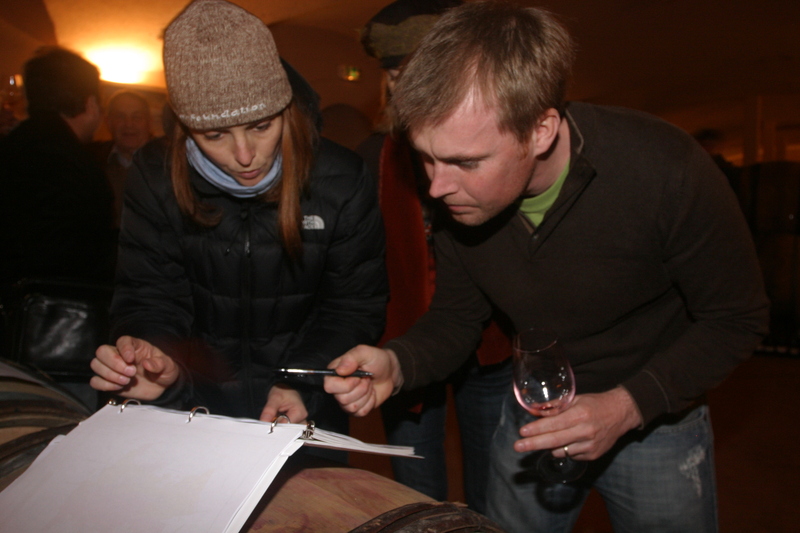 In the final analysis, the wines of Ben Leroux are so appealing precisely because his objective focuses on the human perspective. “For me,” he declares, “the goal is not a bottle of fine wine or exultant tasting notes. What interests me, instead, is to create memories of good times, of shared joy and happiness . . . of what the French call bonhomie.” Wine is ephemeral; memories abide. Aux Allots is a 7.96-hectare lieu-dit located in the appellation of Nuits-St-Georges. This village-level vineyard lies in the section north of Nuits, in the section of the appellation closest to Vosne-Romanée. The vineyard is situated midslope, immediately below the band of premiers crus climats including Murgers and Les Boudots. Facing east and lying at 230-250 meters above sea level, Aux Allots soil is a pebbly mixture of limestone, silt and clay over a base of Bathonian limestone. Notable examples of Aux Allots come from Domaine Leroy and Maison Benjamin Leroux. Les Lavières: This 5.97-hectare village-level lieu-dit lies in the northern part of the commune of Nuits-St-Georges, uphill and to the north of the village, toward the border with Vosne-Romanée. Just north of the lieu-dit Les Allots , east and downhill from Premiers Crus Les Murgers and Aux Cras, the gravelly soil is comprised of brown limestone and clay over a pink Comblanchien limestone base. En Orveaux, a tiny 1.79 hectare Premier Cru climat of Vosne-Romanée, is one of the smallest vineyards of the appellation, producing a rare wine with a very intriguing story to boot. The vineyard is situated in the northwest sector of the commune of Flagey-Echézeaux, adjacent to the border with Chambolle-Musigny. The entire En Orveaux lieu-dit actually comprises 6.83 hectares, but 5.04 hectares of En Orveaux was in 1937 incorporated into the Grand Cru Echézeaux. The remaining piece, which is about the same size as La Romanée-Conti, remains as Premier Cru Vosne-Romanée. It is interesting to note that Lavalle’s prior classification ranked the entirety of En Orveaux as a Première Cuvée, superior in quality even to the two climats of Echézeaux that are today judged to be the finest, Pouilaillères and Echézeaux du Dessus. En Orveaux lies at an elevation of 280 meters with a northerly exposition, and the vines are planted in rows running north-south. The rocky soil is noticeably rich in clay but enjoys excellent drainage. Due to its altitude and northern exposure, the fruit is among the latest in Vosne to mature . The finest example En Orveaux is produced by Sylvain Cathiard, who holds a .293 hectare parcel that was at one time classified as part of Echézeaux. Wines from En Orveaux exhibit the unmistakable seductive allure of Premier Cru Vosne-Romanée, with perhaps less structure and power than Reignots or Malconsorts but with arguably greater refinement and elegance. As Jockovino has pointed out elsewhere, one of the most durable images of the Burgundian vigneron is the laconic peasant, face deeply etched by long exposure to the elements and hands callused by years of manual labor in the vineyards. His education has been acquired for the most part by working alongside his father and he is even now passing along the accumulated wisdom of generations to his son. While the reality is most often strikingly different, there are at least a few instances where this compelling and beguiling image is surprisingly accurate. 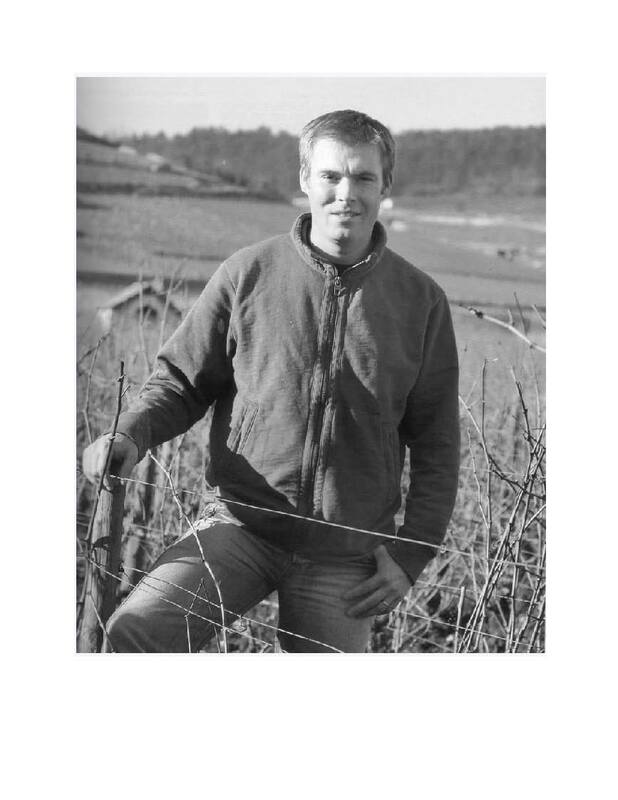 Sylvain Cathiard, who has been selected by Clive Coates as one of the few three-star superstars in Burgundy, is just such a man of the soil: a vigneron whose personal ties to the terroir naturally imbue him with a remarkable talent to give transparent expression to the wines he so carefully crafts. Domaine Sylvain Cathiard et Fils now comprises almost 7 hectares of vineyards in the Côte de Nuits, principally in Vosne-Romanée, but also in Nuits-St-Georges and Chambolle-Musigny. The Domaine was founded by Sylvain’s grandfather in the 1930’s and taken over by his father in 1969. Sylvain himself, a graduate of the Ecole Viticole in Beaune, began working with his father, André, in the 1980’s and gradually assumed control in the 1990’s. 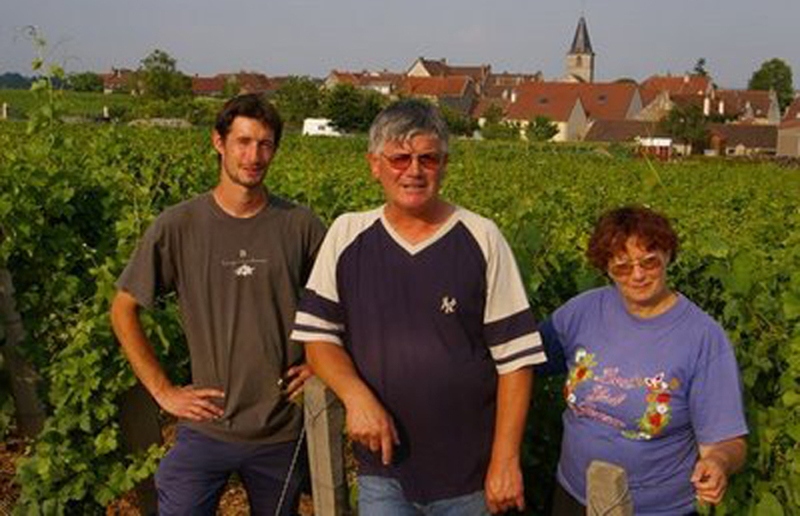 Since taking over, Sylvain has raised the quality level of the Domaine to the topmost echelon of Burgundy. Sylvain has now been joined by his son Sébastian, who is being trained and groomed to take over in the future. The heart of Domaine Cathiard lies in Vosne-Romanée (and Flagey-Echézeaux) , where the Domaine has prize holdings in four remarkable Premier Cru vineyards as well as a small, spectacular parcel (.167 hectare) in Grand Cru Romanée-St-Vivant. To the south, between the village of Vosne and the border with Nuits-St-Georges, and adjacent to La Tâche, lies the Domaine’s .74 hectare parcel of Aux Malconsorts, a remarkable Premier Cru climat that rivals the best in the appellation. Cathiard’s Malconsorts vines were planted in 1972. A bit north, and just above Grands Crus La Romanée and La Romanée-Conti, lies the Domaine’s .24 hectare parcel of Les Reignots. Further north, and adjacent to Grand Cru Romanée-St-Vivant, the Domaine holds a small .164 hectare parcel of Premier Cru Les Suchots, planted in 1969. Lastly, within the Flagey-Echézeaux section of the appellation, lies Cathiard’s .293 hectares of Premier Cru En Orveaux, planted in 1953. En Orveaux is a particularly interesting vineyard in a portion of it actually falls within Grand Cru Echézeaux. In addition, the Domaine includes three parcels of village-level Vosne-Romanée, planted in the early 1970’s and aggregating .79 hectares. Domaine Sylvain Cathiard also enjoys a small .456 hectare parcel, planted in 1951, of Les Clos de l’Orme, a lieu-dit in Chambolle-Musigny situated just southeast of Premier Cru Les Charmes. In Nuits-St-Georges, the Domaine has a sliver (.128 hectare) of village-level vineyards planted in 1949, as well as a .475 hectare parcel of Premier Cru Les Murgers planted in 1945, and a .43 hectare piece of Premier Cru Aux Thorey planted in 1953. This latter holding has an interesting history, it having been acquired by the Domaine in 2005 in consideration for the work that Sylvain Cathiard had put into the parcels of Aux Malconsorts and Romanée-St-Vivant acquired from Moillard by Domaines Dujac and de Montille. Sylvain Cathiard is a practitioner of lutte raisonnée, a system of vine cultivation that is essentially organic and noninterventionist. Lutte raisonnée entails holistic and balanced viticultural management with primary focus on microbial health of the soil and the biodiversity of the vineyard. The governing policy is to support and maintain the natural ecosystem of the vineyard so that the vines can prosper without intervention, thereby naturally resisting pests and disease. The system pursues a reasoned and not absolutist approach, however, and practitioners of lutte raisonnée will occasionally permit limited chemical intervention if certain danger thresholds are passed; and, more importantly, when chemicals are viewed as less harmful to the soil than alternative biodynamic treatments. As a practical matter, lutte raisonnée can be distinguished from biodynamie in that the former implies the application of treatments only as a necessary response, and the use of chemicals as a less harmful alternative. In contrast, biodynamie implements treatments systematically as prevention and employs biodynamic remedies like sulphur and copper that many vignerons believe are more harmful to the vineyard than chemical alternatives. Lutte raisonnée, in the judgment of its practitioners, thus results in less intervention and a more flexible approach that elevates the long term health of the vineyard above organic and biodynamic orthodoxy. Following meticulous sorting in the vineyards and then again in the winery, Cathiard completely destems the fruit and employs cold maceration for 4-8 days, depending on the vintage. With neither yeasting nor enzyming, fermentation is permitted to reach fairly high temperatures (31°-32° C.) for 16-22 days, with the frequency of pigéage and length of cuvaison adapted to the vintage. The young wine is then racked into Allier barrels (30-40% new oak for village-level, and 60-70% for the Premier Cru) and aged 18-20 months. After assemblage, the wines are bottled without fining or filtration. 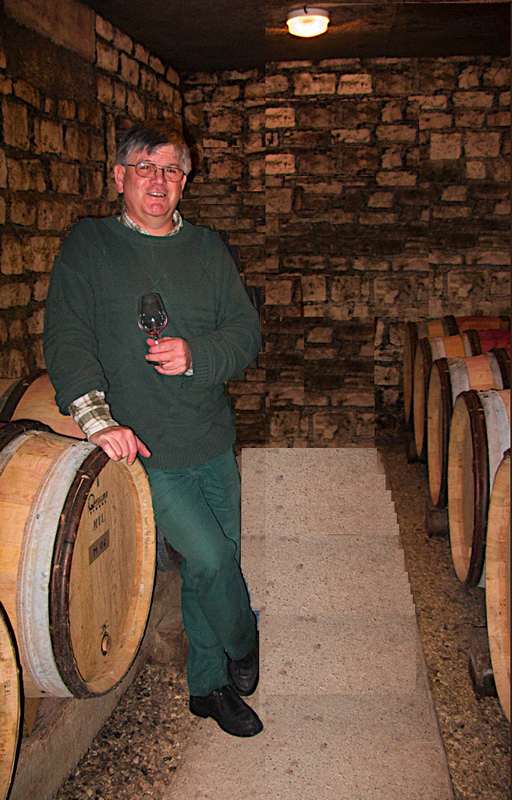 The wines of Sylvain Cathiard, especially his Vosne-Romanée, are reference-standards. Tasting through his village-level and then his Premier Cru Vosne, the subtle differences among the crus are readily apparent, and illustrate both the authority and the magic of terroir. Cathiard wines are lush and opulent, to be certain, and without the slightest hint of forced extraction or excess sweetness; and they are harmonious and balanced and delicate. But the overriding impression that Cathiard wines give is one of absolute precision: striking each prescribed note perfectly in pitch and tone, without ever a hint of excess or discordance. According to many knowledgeable observers, La Romanée-Conti remains the world’s most expensive wine simply because it has no peers. In Allen Meadows’ lapidary phrase: “Romanée-Conti is the single greatest wine in the world, red or white.” The vineyard itself, a clos or walled vineyard, is comprised of 1.81 hectares and is situated in the commune of Vosne-Romanée, west of the village and immediately downhill and east of its sister Grand Cru, La Romanée. La Romanée-Conti is a Grand Cru climat and a monopole of the Domaine de la Romanée-Conti, which of course takes its name from the famous vineyard. The vineyard itself is approximately square in shape, each side measuring around 150 meters. Facing east with a 6% slope varying from 260 meters to 275 meters, the vineyard enjoys ideal exposition as well as virtually perfect drainage. The soil, rich in iron and sodium carbonate, is composed of Prémeaux limestone, sand and pebbles, with a relatively high (35%) content of clay. The yield of the vineyard averages 35hL/ha, with only 500 to 650 cases available each year. The Domaine de la Romanée-Conti also owns the entirety of La Tâche (6.06 hectares), 3.51 hectares of Richebourg , 3.53 hectares of Grands-Echézeaux, 4.67 hectares of Echézeaux, 5.29 hectares of Romanée-St-Vivant, and .67 hectares of Montrachet. By tradition at least, Gauls drafted by Caesar into the Roman army from Burgundy were later rewarded with landgrants, known appropriately as “Romanée” vineyards. Many of the best of these vineyards were located in and around the village of Vosne, which was not , however, rechristened Vosne-Romanée until 1866. By the 9th century, much of Vosne, including the Romanée-Conti vineyard, belonged to a Cluniac priory named in honor of St. Vivant. By the 13th century, however, the vineyard came under the control of the Abbot of Cîteaux. In the earliest extant records, the vineyard was not yet known as La Romanée-Conti . but as the Cloux des Cinq Journaux (“Walled Vineyard of 5 Journals”). A Journal (plural form Journaux)is a measure of land that a man, aided by a plough and horse, could work in a single day. (For more on units of measurements, ancient and modern, see here). By 1584, then known as the Cros des Cloux, the vineyard was put under perpetual lease, and held by a succession of powerful nobles, passing finally in 1631 to Philippe de Croonembourg, who recorded his leasehold under the name “La Romanée.” The vineyard would remain with the Croonembourg family, under whose skillful cultivation it would achieve unparalleled fame, until 1760, when it was sold to the Prince de Conti, who reserved the wine entirely for himself and the guests he lavishly entertained. 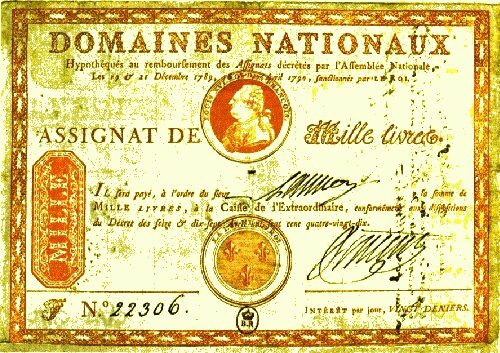 In 1794, the vineyard, now finally known as La Romanée-Conti, was confiscated by the Revolutionary government and sold (albeit for worthless assignats) to Nicholas Defer de la Nouèrre. In 1819, Romanée-Conti was acquired by Julien-Jules Ouvrard, a famously prosperous wine merchant who also owned the Clos de Vougeot and Château de Gilly. He enjoyed superb vineyard holdings, including parcels of Chambertin, Chambertin Clos de Bèze, Latricières-Chambertin, Les Amoureuses, Corton Clos du Roi, and Le Clos Blanc de Vougeot. In late 1869, Jacques-Marie Duvault-Blochet acquired the vineyard and it has remained in his family, through whom it descended through marriage to Edmond-Gaudin de Villaine, grandfather of the current co-gérant (co-director), Aubert de Villaine. During the Second War, while Edmond’s son was held prisoner by the Germans, the Villaine family sold a 50% interest to Henri Leroy. The Domaine is today owned equally by the heirs of the Villaine and Leroy families. A certain amount of confusion continues to obtain regarding the relationship between La Romanée-Conti and its sister Grand Cru, La Romanée, a monopole of the Domaine du Comte Liger-Belair. Allen Meadows has thoroughly studied the relationship and, in his new book The Pearl of the Côte, adduces a great deal of credible evidence that suggests that the two vineyards were indeed once a single parcel. The French Revolution transformed not only the political map of Europe but also the vinicultural map of France. Prior to the Revolution, most vineyards, especially in Burgundy and Bordeaux, belonged to the Church and the nobility. The vineyards were seized by the State in 1790 , with an objective toward replenishing the empty State Treasury. In an adroit exercise of Cartesian rationalization, Talleyrand (himself notably the Bishop of Autun and the eldest son of the Comte de Périgord) justified the theft of these properties from the nobility and the Church by rechristening them biens nationaux (“national goods”). As such, they by definition belonged to the State and could be placed at its disposition and sold off at auction in the interests of France. One practical impediment to Talleyrand’s scheme was that the Treasury’s needs were immediate, and any sale of the biens nationaux would have taken considerable time to implement. 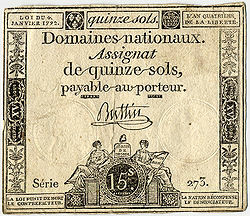 To monetize more quickly the biens nationaux, the National Assembly printed certificates of value called assignats, conceptually a variety of bond based on the value of the stolen properties. These assignats were then used by the government to retire its debts; and, in turn, came to be traded and exchanged as legal tender. Et voilà — the birth of paper money! The National Assembly was so pleased with its creation that it kept the printing presses rolling until so many assignats were issued that they no longer had any value. By thus discovering inflation did the French government first master the magic of reverse-alchemy: transmuting valuable vineyards into valueless paper money. By 1793, France descended into the throes of hyperinflation, and the process that began with the separation of vineyards from their rightful proprietors segued quite naturally into the severance of many heads from their traditional owners.